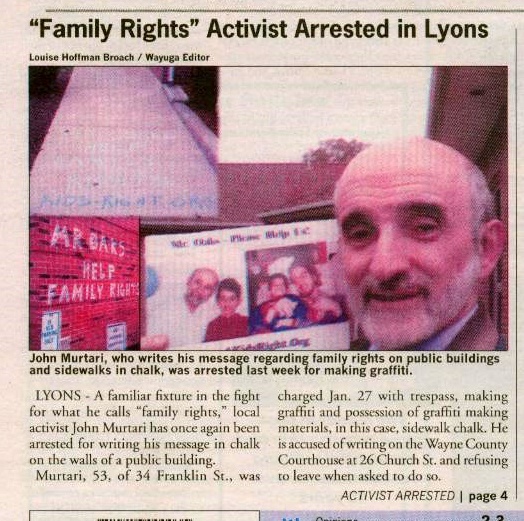 Family Reform Activist – arrested for chalk! Below we have a quick scan of the Feb 3rd, 2010 edition of the Wayne County Star. The story appeared on the front page, with continuation on an inside page. The editor did a very nice job explaining what happened and the motivation.